is the current President of the American Matthay Association for Piano. A former editor of the Matthay News, McRoberts wrote an article about Matthay for Clavíer Companion, and gave a presentation on Matthay principles for the national conference of Music Teachers National Association. He has served Tennessee Music Teachers Association as president and editor of Tennessee Music Teacher, contributed reviews of new music for Piano Guild Notes, and currently is president of the Southern Chapter of the College Music Society. He is University Professor of Music at Union University in Jackson, Tennessee, where he teaches private piano and related courses, and is coordinator of keyboard studies and of concerts and recitals. A former governor of Province 15 for Phi Mu Alpha Sinfonia, he is faculty advisor to the Iota Sigma Chapter. He performs frequently as a soloist and a collaborative musician and with the Jackson Symphony Orchestra. 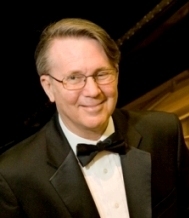 He has made numerous presentations for the American Matthay Association for Piano, the Southern Chapter of the College Music Society, and various music teacher groups, as well as in China, Japan, Brazil, and Haiti. A church organist for over twenty-five years, he currently plays at First United Methodist Church in Jackson, Tennessee. earned his Bachelor and Master of Music degrees from Baylor University, and did advanced study at the Academy for Music and Dramatic Arts in Vienna. 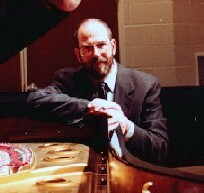 He retired in July 1998 as Associate Professor of Music at Columbus State University, where he taught piano performance and directed the Graduate and Undergraduate Degree Programs in Piano Pedagogy. Formerly, he was director of Teacher Training at the New School for Music Study in Princeton, New Jersey. 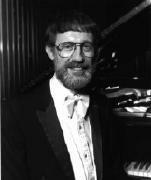 He also served as a consultant to the Frances Clark Library for Piano Students for a period of over ten years. 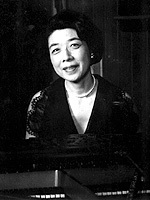 was born in Tokyo and began her piano studies with her mother, Teiko, an accomplished pianist and a graduate of the New England Conservatory of Music. After winning a Japanese national competition, she was invited to study at the Eastman School of Music with Cécile Staub Genhart, with whom she credits her foundation as a pianist. After earning her B.M. with Distinction, Performer's Certificate, and Artist's Diploma, she continued to study with Frank Mannheimer, with whom she worked extensively over the next sixteen years. During the winter of 1964-65, she had the privilege of studying with Dame Myra Hess in London. Miss Onishi has concertized and given lectures in over 60 cities in the United States and she has played in all of the major cities in Japan. For six years she was a professor at the Toho School of Music in Japan and for twenty-one years she served on the faculty of San Jose State University in California. During those years she produced many outstanding students, some of whom have won prizes at international competitions including the Leeds, Busoni, Casadesus, Kapell, Chopin, Munich, University of Maryland and the Washington International Bach Competition. 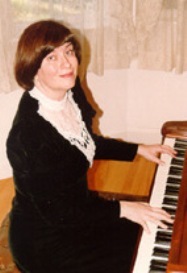 She is the author of Pianism, a highly acclaimed pedagogical work, which is available at www.pianism.com. has performed as soloist, chamber musician, orchestral keyboardist, and accompanist in the United States, Mexico, and England. She made her London solo debut at the prestigious Wigmore Hall in 1984, and she has appeared as a soloist with the Phoenix Symphony, and the Amarillo and Lubbock Symphonies. For many years she served as Keyboardist for the Phoenix Symphony Orchestra and Principal Keyboardist for the Sun Cities Symphony. She has also served as Keyboardist for The Florida Orchestra in Tampa. She is a member of many chamber ensembles, including the Bel Canto Players, and frequently performs with singers. Her summer festival appearances include the Sedona Chamber Music Festival, the New Hampshire Music Festival, and the Park City International Chamber Music Festival. She began to play the piano before she was three years old, studying with her father, Samuel Pendleton, a student of Tobias Matthay. At the age of five, she was the youngest performer ever to participate in the Berkeley (California) Bach Festival, and she later was a prize winner in the Chicago Young Artists Competition. She graduated as Salutatorian from Interlochen Arts Academy, and completed Bachelor and Master of Music degrees at Texas Tech University. She studied in England with Denise Lassimonne, Martino Tirimo and Gwenneth Pryor, completing graduate diplomas at the Royal College of Music and the Royal Academy of Music. She holds a Doctor of Musical Arts degree from Arizona State University. She has taught at Texas Tech University, Arizona State University, and in the Maricopa County (AZ) Community Colleges. She is married to Warren Hoffer, a retired professor of voice at ASU, with whom she often performs. studied for several summers while in high school and college with Frank Mannheimer in Duluth, Minnesota, and received her Bachelor of Music Degree with Distinction from the Eastman School of Music as a student of Cécile Genhart. A Fulbright Grant enabled her to study for three years at the Royal Academy of Music in London with Hilda Dederich. While in Europe, she was a medal winner in the Canals International Competition in Barcelona, Spain, and the Viotti International Competition in Vercelli, Italy. Her London debut at Wigmore Hall received excellent reviews. Mrs. Razaq also holds a Master of Music Degree from the University of Illinois and has concertized extensively in the Midwest, including performances on the "Live from Landmark" series on Minnesota Public Radio and on the Dame Myra Hess Concert Series from the Chicago Public Library, broadcast live on WFMT. She has been a featured pianist with the Mannheimer Piano Festival at the University of Minnesota in Duluth several times, and portions of one of her recitals were later broadcast on Minnesota Public Radio. Her performance of Gershwin's Rhapsody in Blue with the Elgin Symphony Orchestra was acclaimed by critics as "powerful and dazzling." She is active as an adjudicator, and recently judged the international preliminaries and finals of the Grace Welsh Piano Competition. She has played chamber music recitals with members of the Chicago Symphony Orchestra, and was a featured soloist at Stringfest 1998 at Illinois State University. Recent appearances include a July 1999 performance with the Lake Superior Chamber Orchestra in Duluth. 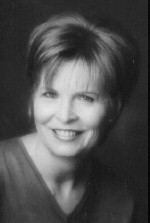 Mrs. Razaq is a member of the Harper College and Harper Music Academy piano faculty in Palatine, Illinois. 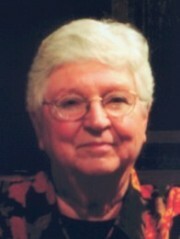 A past President of the Northwest Suburban Music Teacher's Association, she resides with her family in Algonquin, Illinois, where she maintains a private studio. is Professor of Piano at the University of Kansas, where he has taught piano and piano literature since 1964. He is a graduate of the Eastman School of Music, where he studied piano with Cécile Staub Genhart. In 1962 he received a Fulbright Scholarship for study at the Academy of Music in Vienna, Austria. He furthered his studies with Frank Mannheimer and in 1973 became a founding member of the Mannheimer Piano Festival Association. Mr. Reber is an active recitalist and is recognized as an outstanding lecture-recitalist in the field of twentieth-century piano music as well as the traditional repertoire. He presents recitals, lecture-recitals, and workshops throughout the United States and recently lectured and performed in Japan. His orchestral appearances include the premieres of two concertos, and he has performed with the Dorian Wind Quintet. Mr. Reber has received numerous research grants from the University of Kansas. His recording of intermediate level twentieth-century piano music, entitled Kanzona, was the result of one such grant. has distinguished himself as a top prize winner in several international competitions including the Busoni, Kapell, Casadesus, Joanna Hodges, Concert Artist Guild, and International Johann Sebastian Bach Competition. Mr. Rutman has received awards from the National Endowment for the Arts and a grant for Artistic Excellence from the Astral Foundation. He has appeared in Carnegie Hall, Alice Tully Hall, Queen Elizabeth Hall, and Tokyo's Bunka Kaikan. He has recorded two Mozart Piano Concerti on the ASV label and an all-Poulenc CD, with Emmy-Award-winning actor, Tony Randall providing the narration for The Story of Babar the Little Elephant. The Washington Post has written that his playing "met the highest standards and his spotless articulation gave the whole program unusual polish and virtuoso marks," and recently the New York Times stated that "he won the audience over for himself with exquisite performancesboth commanding and full of character." A native of California, Mr. Rutman has studied extensively with Aiko Onishi and he holds the Master of Music degree from the Eastman School of Music, where he studied with Cécile Staub Genhart. He also holds a D.M.A. from the Peabody Conservatory. 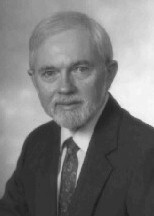 Currently Artist-in-Residence at the University of Central Arkansas, in 1999 Mr. Rutman gave 64 narrated concerts throughout the state to the children of the Arkansas public schools. A former collegiate boxer with an amateur record of 6-0, he also coaches the University of Central Arkansas Boxing Club. is a former President of the American Matthay Association. She also serves as Professor of Music and Director of Performance at Wheaton College in Norton, Massachusetts, where she teaches piano and courses in European and American music, including African-American music and American musical theater. She holds degrees from the New England Conservatory of Music, Arizona State University, and The Catholic University of America, where her doctoral dissertation was about American art song in turn-of-the-century Boston. 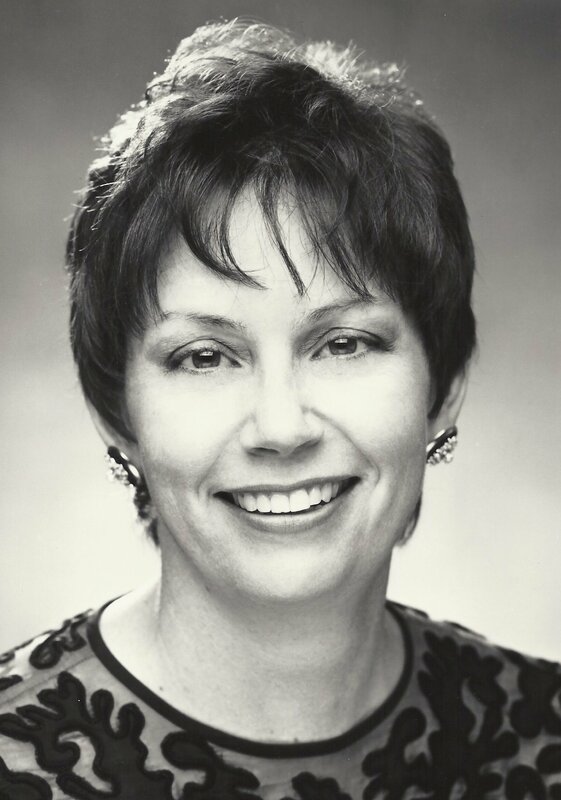 She is well-known for her performances and publications in American music, and has presented papers and lecture recitals at national meetings of the Sonneck Society for American Music, the College Music Society, and the American Matthay Association. Concert appearances include the Badia di Cava Music Festival in Italy, the Master Musicians Festival in Kentucky, the Sumner School Museum and St. Patrick's in the City in Washington, D.C., the Gardner Museum and the French Library in Boston, and various schools and universities in the United States. Her research interests are American art song, the concert tradition in African American music, and American opera and musical theater. A compact disc, Deep River: The Art Songs and Spirituals of Harry T. Burleigh, in collaboration with Oral Moses, bass, originally on Northeastern Records, has been reissued by Albany Records; and a new disc, Fi-yer! A Hundred Years of African-American Song, with tenor William Brown, was recently released by Albany. She is currently review editor of the College Music Society journal Symposium and membership secretary of the American Liszt Society. is a past President of the American Matthay Association and has recently completed Marley's Host: The Life and Teachings of Tobias Matthay, to be published soon. He has studied with Stewart Gordon, Donald Hageman, Frank Mannheimer, and Denise Lassimonne. He has concertized extensively throughout North America and in 1986 he performed the 24 preludes of Rachmaninoff in New York's Lincoln Center. He made his London debut in 1988. His numerous articles have appeared in such journals as the American Music Teacher and the Piano Quarterly, and in the summer 1993 issue of American Music he presented new research concerning musical figures active in post-Revolutionary Philadelphia. He is also a contributor to the second edition of the New Grove Dictionary of Music and Musicians, and other recent articles include pieces for the American Musical Instrument Society Journal and Symposium, the journal of the College Music Society. His recording of The Philadelphia Sonatas of Alexander Reinagle (c.1750-1809) was released on the Titanic label in 1998. Siek's interests have also extended to other areas of American history and culture, and he has published and lectured widely on the earlier work of architect Frank Lloyd Wright. He holds the B. Mus. and the M. Mus. degrees from the University of Maryland and a Ph.D. from the College-Conservatory of Music of the University of Cincinnati. He currently serves on the faculty of Wittenberg University in Springfield, Ohio. is the current Vice-President of the Association. He recently returned from Germany where he performed in, among other venues, Kurt Weill Zentrum in Dessau and the Lucas Cranach Hof in Wittenberg. As a solo recitalist, he made his European debut at Mariefred Kyrkan in Sweden in 1997, where he received a standing ovation and was hailed by the reviewer as "unequivocally one of the most brilliant pianists I have had the pleasure of hearing and reviewing!" Mr. Smith's debut recording of the Kurt Atterberg Concerto (a premiere recording) was released in September. He offered this work for his Swedish orchestral debut in October of 1998, with Maestro Arne Johansson conducting the Sofia Orchestra. Svenska Dagbladet described his performance as marked by a "sensitive ear, strong sense of style and fine musicianship . . . more than anyone could wish for." The performance, the concerto, and Mr. Smith were featured on SVT's Musikspegeln, which was broadcast throughout Sweden soon afterwards. Other European engagements have included Oslo and Paris. His 1999-2000 schedule features orchestral appearances in England with the Bournemouth Sinfonietta and with the Sofia Orchestra in Stockholm, in addition to recitals in London, Stockholm and Leipzig. In the United States he has appeared as a soloist, chamber musician and vocal accompanist at such venues as the National Gallery in Washington, D.C., the Cleveland Museum's Distinguished Artist Series, and Alice Tully Hall at Lincoln Center in New York City. In the 1999-2000 season he will perform solo recitals in Maryland, Ohio, New Jersey, Virginia, California and New York. This fall he will also perform the Robert Schumann Piano Concerto with Maestro Jean-Pierre Schmitt and the Lawyers Orchestra in NYC. Mr. Smith's work as a solo artist has been described as "breathtakingly beautiful . . . . The dazzling, agile finger work left the audience in utter awe of Smith's technical skill and beauty of tone . . . . His quiet sincere and straight forward manner relies on an economy of movement and energy which allows him introspection into the core of the music." 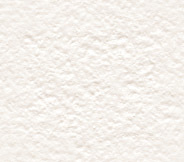 He currently resides in New York City. received her B.S. degree in music education from Susquehanna University in Pennsylvania, and her M.A. from Goddard College in Vermont She has worked extensively with Donald Hageman, who introduced her to the Matthay principles. She has served as Archivist for the American Matthay Association and from 1987 to 2002, as the Editor of the Matthay News. She presently serves as Secretary to the AMA. Mrs. Vandevander has performed for concert series at the Dayton (Ohio) Art Institute, the Dayton Music Club, the Sigma Alpha Iota women's professional music sorority, Westminster Presbyterian Church, Dayton, and First Church in Belfast, Maine. She has also played on the Shiloh Church Concert Series in Dayton. Presently she is a member of the piano faculty at the University of Dayton, and she also maintains a thriving piano studio in Dayton. is a Friend of the American Matthay Association. He is a Dutch harpsichordist and pianist living in Geldrop, a village near Eindhoven in The Netherlands. He received his training at the Conservatories of Tilburg and Alkmaar, where he studied the recorder, harpsichord, piano, and performance practice. He has also studied extensively with Bob Brouwer, a student of Christiaan Grootveld, who was trained by Matthay. Mr. Weeren has specialized in teaching the piano according to Matthay principles, and he currently teaches at the Tilburgse Dans- en Muziekschool and in his studio in Geldrop. As a concert artist he plays regularly with ensembles specializing in early performance practice and as a soloist he frequently performs throughout Europe. 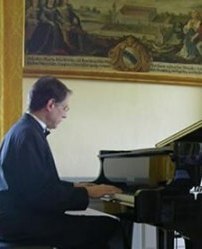 He has also recently completed some radio-recordings, and he has contributed articles about music and teaching to Het Clavecimbel (a harpsichord magazine) and the EPTA-Nederland Pianobulletin. received his early training from Ralph Squires at Centenary College, and he later worked with Jack Roberts, Jean Mainous, and Silvio Scionti at the University of North Texas. He studied with Frank Mannheimer in Duluth, Minnesota, from 1962 until 1971, and he attended Denise Lassimonne's summer class in Buriton, England in 1975. He has been a piano faculty member at Southwest Texas State University, The University of South Dakota, and since 1968 at the University of South Carolina. His repertory includes the Goldberg Variations, the late sonatas of Beethoven, the Chopin Etudes, and several concerti. He has restored an 1862 Erard piano which has been in several recital performances, including the MTNA National Convention. is a former President of the American Matthay Association and is a frequent recitalist and ensemble musician who performs throughout the United States and Europe. Major cities where he has been heard include New York, Toronto, Edinburgh, Amsterdam, Salzburg, Brussels, and Merida. He frequently conducts workshops, master classes and clinics at numerous colleges and universities. Dr. Wolf holds the Doctor of Musical Arts degree from the Eastman School of Music where his piano study was with Cécile Staub Genhart. He previously studied with Gordon Terwilliger and Adrian Pouliot at Wichita State University and also with Kurt Neumuller as a Fulbright Scholar at the Mozarteum in Salzburg, Austria. He is active in many professional organizations and has taught many award-winning students. Dr. Wolf holds the rank of Distinguished Professor of Music at the University of Central Florida.